In a few days time my whole town will shift into celebration mode. The Fourth of July is a big thing here, and it begins very early when people go down to the main street to stake out their sidewalk space. This is done by taping blankets to the cement and by parking chairs along the road. At around eight the streets fill up with runners for the Fourth of July races. I will be running in the shorter of the two, and I am looking forward to it. I had hoped that I could do the longer race, but I just am not in shape to manage the hills along the route. Maybe next year I can tackle this longer run. After the races there is the parade. This is a very large affair. In fact it is so large that numerous streets blocks away from the parade route have to be shut down to serve as staging areas. Vintage cars, stilt walkers, dancers, bands, dog brigades, floats and more will walk through town for a couple of hours. It is a wonderfully loud and entertaining spectacle. After the parade, there is a reading of the Declaration of Independence in the park and live music. We like to take a picnic to this event and the town's children have a blast paddling in the river and eating ice cream, cotton candy, and other sweet confections. This year is going to be special because a German friend of mine will be with us. I am looking forward to seeing what she thinks of this celebration. I am sure some of the parade entries will puzzle and amuse her. The day wraps up with a spectcular fireworks display. This year we will be watching it from our front porch, sharing the time with lots of friends. Every year I sit down with my daughter to read a book or two about the first fourth of July. We discuss the events that lead up to the writing and signing of the Declaration of Independence, and my daughter likes to read the opening lines of that famous document. If you are looking for books to help your child or children understand the story behind the Fourth of July, take a look at the Through the Looking Glass Book Review Fourth of July feature. This is an excellent collection of books for readers of all ages. Also check out the American Revolutionary War feature for related titles. Happy reading! I'll have a review for you of In 1776 tomorrow. This week I posted my review of The Evolution of Calpurnia Tate. As a follow up, I have interviewed the author of this marvelous book , Jacqueline Kelly. Here is the interview. 1. Where did the inspiration for The Evolution of Calpurnia Tate come from? The entire story was inspired by my 140-year-old Victorian farmhouse in Fentress, Texas. The house has plumbing from the 1920's, and an electrical system from the 1930's, and only a few of the rooms have window units for air conditioning, so it gets uncomfortably hot during the summer. One day I was lounging on the day be in the living room under an inadequate AC unit, when I thought, "How did people stand it in this house, in this heat, a hundred years ago?" And just like that, Calpurnia and her family sprang to life to answer the question. 2. The story is based in Texas , where you now live. How did you find out what it was like to live in Texas in the late 1800’s? I have always been interested in the turn of that century, and I just seem to have picked up details along the way. There's also an excellent resource, The Texas Handbook Online. Plus, you can find out all sorts of interesting details by looking at old advertisements, either online or in old magazines and catalogs and newspapers. 3. In the story, Calpurnia Tate develops an interest in the natural world. Is this an interest that you share with your character? I do. I love sitting on a cushion on the front steps early in the morning and just waiting to see what I can see. Cardinals, toads, cottontails, moles, all manner of life goes by. 4. Why did you decide to bring Charles Darwin and his book into the story? It was clear to me that Callie was going to have a deep interest in nature, and I know that, at least in certain parts of the world, Darwin was still considered a controversial character. Although I can't be completely positive, I'm fairly sure that she, as a young girl, would never have been allowed to read The Origin of Species at that time. Bringing him into the book struck me as a natural way to set up conflict between her desires for her future and what society expected of her. 5. The Evolution of Calpurnia Tate is full of humorous moments. I particularly like the part where Callie’s little brother gets upset because he doesn’t want the family to eat the Thanksgiving turkeys that he has cared for. Where did the ideas for these moments come from? Sometimes, even I don't know where the ideas come from. They just show up in my head when I need them, and the turkey scene was one of those. I know that I wanted Callie to have at least one brother who was sweet and soft-hearted, and showing him as fond (maybe overly fond) of animals was one way to do that. And remember, probably all children growing up then would have seen chickens killed, possibly even pigs and cows slaughtered. Today we would shield a child from that, but back then, it was just part of life. 6. Animal characters pop in and out of the story regularly. Are you fond of animals? My husband and I presently have two dogs and three cats, and we are very attached to them. I think every child should have a dog or cat, some kind of pet that has the capacity to show affection and responsiveness. 7. Callie’s grandfather is a wonderful larger than life character. Is he based on someone you know? Granddaddy is physically based on the portraits of Charles Darwin taken late in his life. There are elements of his personality that remind me of myself, my father, and a couple of friends of mine, whom I probably should not name. 8. Do you have a writing schedule that you stick to? I would love to be able to write every morning for three hours, but alas, my other work prevents this. I find that I do best in the mornings with a large cup of coffee inside me. I like to play the local classical music station while I work. Chamber music is very helpful when the work is flowing. When it is not, reggae provides a good shot of energy. I am presently working on a sequel to The Wind in the Willows, entitled The Willows Redux. I may be about to begin a sequel to Calpurnia, as well. 10. What kinds of books did you like to read when you were young? 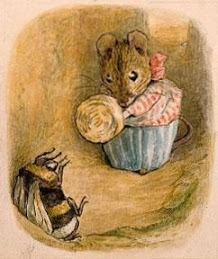 I loved Black Beauty, National Velvet, The Jungle Book, the Doctor Doolittle books (especially the one where he flies to the moon on the back of a giant moth), Alice in Wonderland, The Lion, the Witch, and the Wardrobe, and The Wind in the Willows. Thank goodness these books are all classics and are still being read. Thank you so much for this interview Jacqueline. I look forward to reading your forthcoming books. You can find out more about Jacqueline on her website. Last month I reviewed The Evolution of Calpurnia Tate by Jacqueline Kelly. The book delighted and intrigued me. Indeed it is one of the best books I have read in a long time. Here is my review of the book. I hope you are encouraged to go out and get your own copy. You won't regret it. Calpurnia Tate lives in a big house with her father, mother, grandfather, and her six brothers. It is summertime in 1899 and to say that it is hot is an understatement. It is so hot in fact that everyone is too uncomfortable and tired to keep a close eye on what Callie is doing. Being a clever girl, Callie takes full advantage of this situation, and she spends a good deal of her time floating in the river. She also decides that she is going to be a naturalist. After all, why not? And so, Callie starts writing down her observations in a notebook. She wonders why dogs have eyebrows and why the cardinals are behaving so strangely. Then Callie notices that there are two kinds of grasshoppers around. Usually there are only small green ones, but this summer there are large yellow ones. No one seems to know where these newcomers came from, and Callie finally decides that she has no choice, she is going to have to ask her frightening grandfather. Grandfather tells Callie to “figure it out,” which is what, in time, Callie does. After much thought she decides that the yellow grasshoppers are a different version of the green ones. They are basically the same animal! Full of excitement, Callie tells her grandfather what she has learned, and he discovers that he has a granddaughter who loves to learn, to question, and to observe. Thus begins a wonderful summer for Callie. She and her grandfather become good friends, the old man helping his granddaughter to learn the scientific method. He lets her borrow his books – including the controversial Origin of Species – and he encourages Callie to use her mind in new ways. The problem is that Callie lives in a time when people do not believe in educating girls. Will Callie ever be able to pursue her interest in science, or will she be forced to spend her time learning “cookery” and how to tat lace? In this wonderful title, Jacqueline Kelly tells a story that is funny, thought provoking, and thoroughly addictive. Callie’s evolving relationship with her grandfather is fascinating to observe, and the various misadventures that her family members experience are enormously entertaining. One brother falls in love, while another grows too fond of the Thanksgiving dinner turkeys. Set in a time of great change, this story combines humor, beautiful writing, and unforgettable characters, to give readers a book that they will remember long after the last page is read. Marya: Linda, where did the idea for the Stanley books come from in the first place? Linda: The books started with my dog, Sophie. Stanley's Party began when I spotted dog hair on my couch and realized that Sophie, who is not allowed on the couch, was sneaking up onto it whenever we went out. I laughed ~ and wondered what else she might be doing when no one was home. I laughed some more as I started visualizing an escalating series of bad-dog behaviours; they culminated in "the best doggone party a dog ever had." That was the start. Marya: You really get inside Stanley's head - to great effect. I have three dogs in my life and I immediately recognized Stanley's thought processes. How did you do this? Linda: Thank you. I'm not sure. I know that when I was first thinking about getting a dog, about ten years ago, I watched dogs a lot. Any time I spotted a dog on its own -- waiting outside a store, for instance -- I stopped and made eye contact. Something about those moments really touched me. Is it true that eyes are windows to the soul? If so, dogs have a lot of soul. When I got my own puppy, Sophie -- I watched her, too, and wondered what was going on in that shaggy little head. I watch dogs all the time, and the truth is, I don't think they're that hard to figure out. Dogs make so many transparently expressive movements and sounds. They kind of wear their hearts on their sleeves, right? Or they would if they had sleeves. Marya: Did you use your dog Sophie as a model for Stanley? Linda: Yes, partly. I use Sophie's behavior, the sounds she makes, and so on. But psychologically, Stanley is also based partly on me, I think. I have this theory that when writers develop characters, we are often "mining" different aspects of our subconscious selves, who we are, who we would like to be, who we are scared we might be, etc. If I were a dog, I imagine that I might chafe at my non-human condition. I think I would long for freedom and adventure and a wider social life. If I were as brave/foolish as Stanley, I might act on those longings. Marya: How do you decide what kinds of adventures Stanley is going to have? Linda: Stanley's adventures seem to come along on their own. Stanley's Wild Ride came about when kids were skateboarding on my street, and I noticed Sophie watching. Dog . . . skateboard . . . what if Stanley were to ride a skateboard? Stanley at Sea began at the Dog Beach in Vancouver where I live. The dogs were playing in the ocean. Behind them, boats and ships sailed by. Dogs . . . boats . 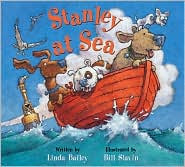 . . what if Stanley and his friends got into a little red boat and were swept out to sea by the current? 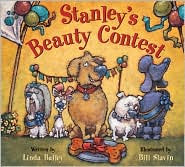 As for Stanley's Beauty Contest, that came straight out of a "dog day" at a local park; it included a most-beautiful-dog contest. The dogs were ordinary mutts, and the prizes were minimal, but there were people there who were taking the whole thing very seriously. Me? I couldn't help wondering what the dogs were thinking about all this . . .
Marya: Do you have a writing schedule, and do you like to read children's literature in your spare time? Linda: I don't really have a schedule. I do treat writing as a "job" in that weekday "business hours" are sacrosanct. I try to put in a real working day each day.Yes, I do read children's literature in my spare time, picture books and novels. I try to keep up with the new-and-wonderful (Sherman Alexie's The Absolutely True Diary of a Part-Time Indian at the moment). I also try to catch up on classics I have missed (lately, Kipling, Edward Lear and James Thurber). Marya: The illustrations that you have created for the Stanley books are deliciously funny. Where did your inspiration for the art come from? Bill: My inspiration for my art always comes first and foremost from Linda's wonderful text. When it came to creating the characters for the Stanley books, I wanted to do something that matched the energy and humour of Linda's writing. Even though Stanley, in so many ways, is a very real dog, to have worked in a more realistic style of artwork would have robbed the story of its humour intsead of building upon it. So I just think about dogs and how they do things, and then push it over the edge. Marya: How do you create the illustrations? Bill: My illustrative technique uses acrylics on gessoed paper. Gesso is a medium that allows me to create a great deal of texture on the page, which can be played up for things like dog fur, or grass, or seascapes. I work from dark to light, finishing with a lot of dry brush and washes, allowing the initial line to continue to inform the artwork. Marya: Do you talk to Linda much about the artwork that you create for her books? Bill: Our processes are generally quite separate. Fortunately, we share a common view of our world and what we find funny, so that goes a long way to helping pair the written and visual story and make it all work as a single entity. Linda is also an extremely visual writer, always giving me lots of material embedded in the text itself to work with and at times building in parts of the story that are intended to be told in the artwork alone. On those occasions notes included with the manuscript give me the heads up. Marya: Did you use real dogs as models for Stanley and his canine friends? Bill: As models, no. As inspiration, yes. I live in a small village where many of my friends have a dog (or dogs!) and when we get together, the dogs usually get together as well and have their own little party. Marya: In the Stanley books, you beautifully capture the essence of dogginess. How did you do this? Do you have dogs in your life? Bill: No, at least not in my own life. As I say, more in avuncular sense, where many of my friends have dogs, and I have lots of opportunities to watch them sleeping, at play, etc. Our cat, Merlin, is quite dog-like, and is probably my primary Stanley prototype, barrel-chested, small-bummed and good-natured. But mostly, as in any good story-telling, I have to think like a dog and the pictures usually come from some place inside there. Marya: Congratulations on winning the California Young Reader’s Award for Stanley’s Wild Ride! How do you feel about the success of the Stanley books? Bill: Awed. Humbled. Puffed at times. Very pleased. Linda: Surprised. Delighted. I have no objectivity about Stanley, and I always get a happy little jolt when people express strongly affectionate feelings about him. Marya: Are there plans for any more Stanley adventures? Linda: Yes. I'm not done with Stanley. I hope Bill isn't, either. Thank you Bill and Linda for such wonderful interviews. Do visit Linda on her website. The Spectacle - a blog for YA and middle grade sci-fi and fantasy authors - is sponsoring a giveaway. The deadline is June 20th, the longest day of the year. All you have to do is tell the bloggers what your favorite summer read is. A winner will be randomly picked on June 21st. Visit the Spectacle Blog to enter. Good luck! Stanley the dog has a very boring existence, and he is heartily fed up with having to look at the same old things repeatedly as he lies inside the fence day after day. One night though, Stanley discovers that there is a little hole under the fence, and in pretty short order he makes the hole just big enough to accommodate a dog. Soon Stanley is out on the loose and having the time of his life. His best friends Alice, Nutsy, Elwood, and Gassy Jack also manage to break out of their respective yards and homes, and the five dogs have a wonderful time running up and down streets, sniffing whatever they like and doing all those things that dogs like to do. Then, at the top of a hill, Stanley discovers a skateboard, and from that moment on, the dog’s night of revelry turns into something quite out of the ordinary. This deliciously funny picture book will give dog lovers of all ages a wonderful laugh. Highly textured acrylic artwork captures the excitement of the night and the sheer feeling of joie de vivre that the dogs experience as they enjoy their elicit freedom. Stanley the dog knows that he is not supposed to beg but he just can’t help himself. His people are having a fantastic picnic feast, and they aren’t giving him anything to nibble on. Eventually Stanley is told to “Get!” and so he goes down to the river where his friends are hanging out. All the dogs are hungry, so they are delighted when they find a trash can full of delicacies . Then, out of the blue a big truck arrives and it empties the trash can. Alas for Stanley and his friends, their feast is gone. Next, the hungry dogs chase another food trail to ground, and this time the food is in a little boat. In seconds, Gassy Jack eats the leftover sandwich that they find in the boat. It is only when they turn around to get out of the boat that the dogs realize that the boat they are in is afloat. In no time at all Stanley and his chums are swept out to sea in their little boat. Where are they going to end up? 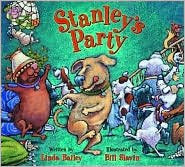 In this delightful Stanley title, Linda Bailey and Bill Slavin once again collaborate to give their readers a deliciously funny picture book. Presented from the point of view of the dogs, the story is perfectly paced, and readers will find it hard not to chuckle when they see where the dogs end up. Stanley’s day is not going well. He hasn’t been fed his breakfast, and his people have given him a bath, which Stanley - being the sensible dog that he is - hates. Who wants to be washed and dried? Who wants be smell sweet? Not Stanley. After the bath is all over, Stanley’s people take him to the park where Stanley is going to participate in a dog contest. Stanley and his friends think the whole thing is very strange, until they smell the prizes – three delectable hot-from-the-oven dog biscuits. Will Stanley be able to run the fastest, or do the best trick, or be the most beautiful so that he can have one of the dog biscuits? Written from the point of view of Stanley and his friends, this wonderfully funny picture book perfectly captures doggy joys and woes. Not only will children have a good laugh when they see what Stanley gets up to, but they will also be reminded of the fact that sometimes the best things in life are the simple things that we tend to take for granted. One night Stanley decides to try lying on the couch. Of course, he knows that he is not supposed to do this, but his people are away and they won’t be back until midnight. What’s the harm? So Stanley gets up on the couch and enjoys its comforts, making sure that he leaves everything neat and tidy before his people get home. Next Stanley tries listening to some music, which he knows is what his people do when they sit on the couch. He then gets himself a snack from the fridge. This is the life! As long as he is careful, he can have a wonderful time while his people are away. Eventually the day comes when Stanley starts to feel that there is something missing from his life of comfort. He needs some company. In this hilarious Stanley story, we get to meet a very doggy dog who knows what he wants. Told from Stanley’s point of view, the story will have readers in giggles in no time. Do you know what your dog does when you are not home? Thank you Linda and Bill for these delightful books. Where did the idea for Cashay come from? I had several ideas before I began researching and writing Cashay. Years ago, my sister tutored a girl who lived in Cabrini Green in Chicago. I spent several weekends with the two of them and was very intrigued by their relationship. My husband was also a part of the Big Brother program and tutored a young boy who was having a tough time at school. Both the girl my sister tutored and the boy my husband tutored were considered “problem kids” and their anger and defiance was memorable. I was interested in writing about them in some way. I also wanted to write about the closeness between two sisters. In addition, a long time ago, I cut out a newspaper article about a 7-year old boy getting shot accidentally on the way to school in Chicago. I wanted to write about that and how it is to live in a world that’s both dangerous and hopeful. How did you so effectively capture what life in the projects is like? Did you interview people and/or visit a place similar to the one where Cashay lived? I loved researching Cashay. I used all the memories of the times I spent with my sister and her assigned student. I hung out in a local high school, which happens to be mostly African-American. I visited the Cabrini Green area in Chicago. I interviewed willing college students who were African-American. One student in particular told me all about hair weaves and dreadlocks. Another student told me what music to listen to, even what food to eat. Mostly I just watched and listened. Mentors can make such a huge difference in the lives of inner city children. Did you mean to draw attention to this when you wrote your book? The time my sister and husband spent with their students – kids who really became a part of our family – was amazing and admirable. All volunteer work is amazing and admirable, and so much of it goes without notice or praise. I have to admit, I did want to bring attention to doing service. But it was interesting too how much my sister and my husband both gained and grew from their relationships with these children. Likewise, Cashay and Allison learn from each other. Cashay is angry and has to learn how to love and trust again. Allison is cut off from people. She is not very close to anyone when she first meets Cashay. They don’t know it, but both Cashay and Allison have to re-learn how to open themselves and their hearts to love. Why did you decide to make Cashay’s mentor a white woman rather than an African American person? I wanted to make Cashay and Allison as un-alike as I possibly could. They are unlikely friends even though they have so much in common. Because they are unlikely friends, they are more interesting to watch and listen to. I also wanted to keep putting Cashay into uneasy situations so that she is constantly tested. In this way we see and she sees what she’s really made of. Cashay struggles daily. Having white mentors is just one more thing for Cashay to deal with, to get a little angrier about. But again, she deals. She stops noticing the color of peoples’ skin. What do you think we need to do as a society to help children like Cashay and her sister? Children like Cashay and her sister need good, safe schools and role models. So of course, we need wonderful, safe schools everywhere in the United States and individuals need to continue to offer what we can, volunteering in after-school programs and more. We also need to continue to grow our library systems just as we have been doing. Branch libraries in big cities, like the ones I visited in Chicago, are fantastic beacons of life and hope in the middle of inner city neighborhoods. These are places where kids can gather, do their homework, read, even take a writing workshop. Libraries are key to building minds and communities. You work as a professor of English in a university. Have your experiences as a professor helped you become a better writer? If I stayed home alone all day and wrote, I would be very productive and very very…strange. I love teaching. I get to go to school and be among smart people and talk about the very things that I love: writing and literature. When I come home, I have even more ideas, more notes, and more love for writing and literature. I can think of no other profession that I would love as much. When I am not teaching, I write at least four hours a day. When I am teaching, I usually write a lot of notes in little pads scattered all around our house. How do your stories find you? Do the ideas just suddenly come into your head out of nowhere, or are they about subjects that you are particularly interested in? I keep a growing list of ideas for stories, essays, and novels. As long as there are people, I don’t think I’ll ever run out of ideas. But some ideas come to me completely uninvited. When my grandmother was dying in Newton, Mississippi, she asked me to come down and be with her, then she told me to read some papers in a shoebox in her closet. I told her I would, then forgot about them for a while, and after her funeral, when I couldn’t sleep, I realized she was probably keeping me up: I had not done what I promised her I would do. There was a 60-page manuscript in my grandmother’s shoebox. In 1940 my grandmother’s great-great uncle Frank Russell was 90 years old when he talked out his life to a secretary who typed it all out. Frank Russell had lived before, during, and after the Civil War years, but there was this one paragraph that really struck me: he said that when his father joined up with the confederates at the start of the Civil War, all the men folk left Smith County and all that was left were the women, the children, what slaves there were, and him. The next paragraph was about how hard it was AFTER the war. Basically, he left out the war, and I kept thinking about the regret that I knew the young Frank Russell must have felt –he missed the big event of his lifetime. I decided to fill in that white space, and that’s how I came to write How I Found the Strong. I had never intended to write about anything that took place during the Civil War! Readers and school visits give me ideas too. Middle school students who read How I Found the Strong wanted to know what happened to Buck, Grandpa, Irene and others. Some readers wrote and emailed me questions. That’s how I came to write the sequel, When I Crossed No-Bob. Thank you Margaret. 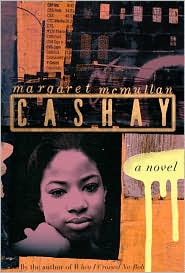 I strongly recommend Cashay and plan on reading Margaret's other books very soon. 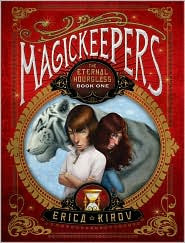 Last week I posted my review of Magickeepers: The Eternal Hourglass. Today I want to let you know that the book's publisher is sponsoring a book giveaway. You can find out more about this giveaway on the Children's Book Review Blog. Good luck! I recently read a book that I was not, I have to admit, keen on reading. I read the blurb, and the subject matter sounded so grim that I kept picking it up - and putting it down. Yes, I was a coward. I didn't want to read a book about something that sounded painful. Cashay lives in the projects with her mother and her sister Sashay. There are many things about her life that Cashay wishes she could change, but there is one thing that she loves and treasures – her sister. Cashay’s mother took drugs when she was pregnant with Sashay, and because of this Sashay is a little behind in school, but she is a sweet, sunshiny girl who makes Cashay laugh. Together Cashay and Sashay cope with their often very difficult life. Then the unthinkable happens, Sashay is killed by a drug pusher’s bullet. For Cashay it is as if the light has gone out of her life. Her mother gets herself a new boyfriend and sinks herself into the oblivion of dugs, and Cashay is alone with her grief and her rage. Realizing that Cashay is in trouble, the school counselor decides to send her to an afterschool program that is run by some nuns. At first the experiment is a dismal failure as far as Cashay is concerned. Then she is set up with a mentor, a single white woman who is a stockbroker and who helps Cashay to see that the world is a big place full of possibilities. This often painful and very powerful story beautifully captures what life is like for children who live in poverty in inner cities. They are surrounded by ugliness, despair, and violence. They don’t know what it is like to ride in a cab, to go to a museum, or to eat in a nice restaurant. They also live with the fear that at any minute someone could shoot them or someone they love. Margaret McMullen gives Cashay such a compelling voice, that readers will find this young girl irresistible. With poignant realism and memorable characters, Margaret McMullen gives her readers an honest message of hope. 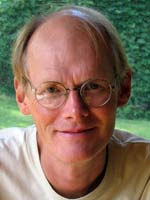 Later this week I will be interviewing the author, Margart McMullen. By the by, I have asked the publisher for Margaret's other YA titles. Never again will I "pass" on a book by this talented lady. Thank you Susan for getting me to read it. Nick loves his father but he wishes that he wasn’t such a bad magician. Ever since the death of his wife, Nick’ father has moved from job to job around Las Vegas. His performances, and jokes, often fall flat, and he is not popular. Then, on his birthday, Nick finds out that he is not just the son of a washed up magician. He finds out that he can see the past in crystal balls, and his grandfather tells him that he, Nick Rostov, is descended from a long line of powerful magicians. Nick does really believe his grandfather’s words until he gets a surprise visitor. The magician Damian, whose elaborate shows are the talk of the town, walks out of Nick’s bedroom closet and he magically whisks the boy away to the Winter Palace Hotel and Casino. In a luxurious penthouse apartment Nick finds out that he really is a member of a family of magicians. Damian is his cousin, and the amazing tricks he performs are not illusions at all. When Damian makes a white tiger disappear he really does it. This news is more than enough for Nick, but there is more. He finds out that he is a Magickeeper, and that there is a rival group of magicians called Shadowkeepers who are extremely dangerous. The Magickeepers and the Shadowkeepers have been fighting one another for centuries. Both groups seek magical artifacts of great power, and now the Shadowseekers are looking for Nick, whom they think will be able to lead them to an artifact that has been lost for many years. In this delightful first book in a new series, Erica Kirov beautifully combines fantasy with history. Colorful characters, numerous surprises, and a plenty of action will keep readers engaged all the way through the book. Let us hope that the second book will be in the bookshops soon so that we can find out what happens next in the near future. You can find out more about Erica and her books on her website and her blog. Labels: Erica Kirov, magic, Magickeepers, Russia. In The Dragon of Trelian, the dragon plays an important role in the story, uniting the two heroes, and adding a magical quality to the tale. For as long as I can remember I have loved dragons. I have even written a few stories of my own about dragons. Today I want to share some other dragon books with you. Many of you, when you hear the word dragon, will think of Eragon, Puff the Magic Dragon, the Dragonology titles, and Father's Dragon. I have reviewed many titles about dragons. Take a look at the TTLG dragon feature to see what I have read. 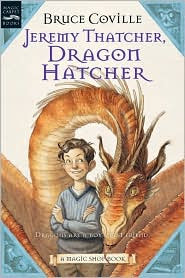 Jeremy Thatcher, Dragon Hatcher by Bruce Coville is still one of my favorites. In my quest for dragon books I went to Amazon and found a splendid Listmania there that you might enjoy looking at. The list is called Dragon Books for Carlton and I highly recommend it. I know that I am one of hundreds of thousands of people around the world who love dragons. Type the word dragon into Google, and a stunning 189,000,000 sites pop-up. Clearly dragon images, stories, and merchandise are popular. Some people think that dragons are only for the young. I think dragons can be enjoyed by anyone, of any age. I hope you enjoy a wonderfully dragonish day. P.S. Don't forget that January 16th is Appreciate a Dragon Day! Visit this website to get ideas for your January 16th celebration. Welcome to day two of The Dragon of Trelian blog book tour. Today I am going to be interviewing the author, Michelle Knudsen. 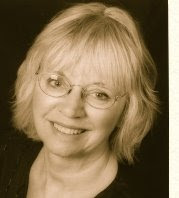 Michelle has written numerous books for children over the years. The Dragon of Trelian is her first novel for older readers. 1. Over the years, you have written many books for young children. What prompted you to write a novel for older readers? I had always wanted to write novels -- fantasy novels in particular. I think it just took me a long time to feel ready. All of my professional experience was with younger and shorter books, and a novel seemed like such a huge undertaking. (And it was!) I had a few ideas for novels written down in notebooks, but it wasn't until I got the first glimmer of the idea for The Dragon of Trelian that I actually attempted to turn one of my novel ideas into a book. 2. Where did the inspiration for this book come from? It's always hard for me to say where the initial inspiration for any book comes from. I think for this story, it started with an image: a boy and a girl at a window in a castle. I started thinking more and more about who they might be and why they were there, and eventually I started to imagine the characters of Meg and Calen and some of what would be happening in the plot. I also knew I would want to include some of my favorite fantasy elements, like dragons and castles and magic and romance and adventure, and so all of that ended up being worked in as I developed the story and characters. 3. Did you draw on myths and legends about dragons to create the dragon in this book? I've loved dragons for about as long as I've been reading fantasy (which is almost as long as I've been able to read). I definitely have a lot of impressions about dragons based on all the old and new books and stories I've read over the years, including everything from fairy tales and folklore to modern fantasy novels to Dungeons & Dragons role-playing games. Dragons are presented in countless ways across different sources, and for my dragon I used what made the most sense to me for this story. I knew I wanted him to be a bit mysterious and alien -- I didn't want him to be able to speak in human languages like some dragons can, or for him to be too easy for Meg and Calen to understand or communicate with directly. He's a wild, magical creature, with a mind and way of experiencing the world that is very different from the way humans think and experience things. 4. From your website, I saw that you work on several projects at once. How does that work? I don't really have one clear system. I worked on The Dragon of Trelian for a long time, on and off -- about seven and a half years from start to finish (that is, from the day I sat down to write the first line to the day the finished book came out in stores). In between I worked on lots of other projects. Sometimes I set the novel aside for months at a time, either because I wanted to focus on other things for a while or because I needed some time to figure out parts of the story that weren't coming together yet. Today I always seem to be working on a bunch of different projects at once. Some days I might work on a novel for a few hours and then switch to working on a picture book, some days I might only work on one thing, some days I might not do any writing at all. Different projects are also often in various stages. So I might be working on a first draft of a new picture book around the same time I'm in the middle of a first draft of a novel and working on revisions of another book or looking over copyedits for something else. It depends what else I have in the works and what stage each project is at. I also enjoy working on more than one first draft at a time and bouncing back and forth between different stories. Especially since a lot of my first drafts are exploratory drafts, and won't necessarily end up as successful manuscripts. I can worry less about whether each individual idea is going to pan out when I know I've got other ideas going at the same time. Also, sometimes it just really helps me to put one thing aside to work on another for a while. 5. How long does it take you to write a picture book? Sometimes I can write a first draft very quickly -- maybe even in just one day (or night). Other times I might only have the first few lines, and need to come back to that beginning several times before figuring out how to go on. Other times I might finish a first draft in a few days but then need to do lots and lots of revision. I have some picture book manuscripts I have worked on for years, on and off, before figuring out the best way to tell the story. 6. Do you have any plans to write a sequel to The Dragon of Trelian? Yes! I'm working on it right now, in fact. 7. The connection between Meg and the orphaned dragon she finds is a powerful one. Where did the idea for this come from? This is another difficult thing to really pin down. I knew I wanted Meg to have a relationship with a dragon, but I don't think I actually planned at first what exactly that relationship would be like. I figure out a lot of the story during the actual writing of the first draft, and so a lot of the time what happens is as surprising to me as it is to my characters! When I was little, I used to desperately want to be able to communicate with animals. Especially cats. I used to try to talk to cats all the time, wishing they would talk back. I suspect part of that desire showed up in Meg's link with Jakl. Although they can't actually talk to each other in words, they share feelings and energy and sensations, and I had a lot of fun trying to imagine what that might be like. 8. Do you work on your picture book stories in your head before you start to write, or do you make notes on paper? Both. Sometimes I get an idea and jot notes down on whatever is handy so I won't forget. The first draft of my picture book Library Lion, for example, was written on pieces of purple note paper, some post-it notes, and the back of an envelope. Other times I will carry a story idea in my head for a little while before writing anything down. If the idea seems too fragile and I'm not sure enough yet about what it will be, I might wait to write it down for fear of forcing it into tangible form before it's ready. And other times I will just start writing with no real idea of what a story is about, just to see what might happen. 9. What do you like to do when you are not writing or editing? I love to read (of course!) and I also spend way too much time on the computer, writing email and chatting with friends and playing Scrabble on Facebook. :) When I do actually manage to pull myself away from my computer, I love going to the movies, hanging out with friends in real life instead of online, and going for walks around my neighborhood or other places in Brooklyn or Manhattan. I used to act and sing in community theater, but I haven't had as much time as I'd like for that in recent years. I'm hoping to get involved in a show again in the near future, though, if I possibly can. It's a lot of fun to be working on a production with a bunch of other people, and it's a nice counterpoint to writing, which involves a lot of sitting alone at your desk! 10. Do you have any big projects on the horizon that you are excited about? I'm very excited about my next picture book, which is being published by Candlewick Press in spring 2011. It's called ARGUS and is being illustrated by the wonderful Andréa Wesson. I've also got some other picture books in the works, and am hard at work on the sequel to The Dragon of Trelian and another (unrelated) novel, which is a fantasy for YA readers. Many thanks Michelle. You can find out more about Michelle on her website and on her blog. Welcome everyone. For the next three days I am going to be talking about The Dragon of Trelian, a novel by Michelle Knudsen. This is Michelle's first novel, and it is a delightful read. Here is my review of the book. Important things are happening in the land of Trelian. Princess Maerlie is going to marry Prince Ryant of Kragnir, and the hope is that this union will end a conflict that has raged between Trelian and Kragnir for many years. Calen, the mage’s apprentice, is quietly proceeding with his rather dull lessons when his master Serek asks him to look at some spirit cards. The cards tell Calen that something really terrible is going to happen in the future. Then, to complicate Calen’s life further, Princess Meglynne shows Calen a special secret that she has. Meg found a baby dragon a few months ago and she has been taking care of it ever since. Now the dragon is much bigger, and Meg does not know how she is going to be able to hide it. In addition, she feels a strong connection with the dragon and she is not sure what the connection is. The feeling frightens her, but at the same time she cannot imagine not having the dragon in her life. When a terrible monster attacks the palace, Calen begins to believe that the spirit cards were telling the truth. Something bad is going to happen, and Calen has no idea what he should do. In her first novel for young readers, Michelle Knudsen combines magic, romance, myth, intrigue, and adventure to give her readers a highly entertaining read. The author will keep her readers sitting on the edge of their seats right until the last minute.